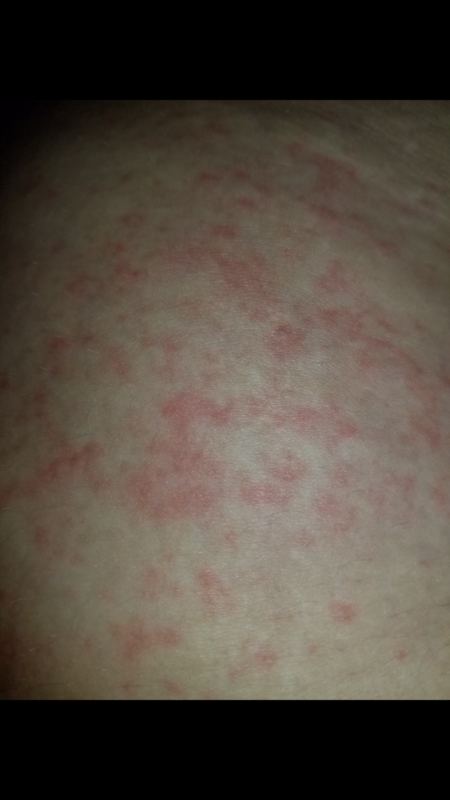 Does this rash look like scabies? Have had it 2 weeks. 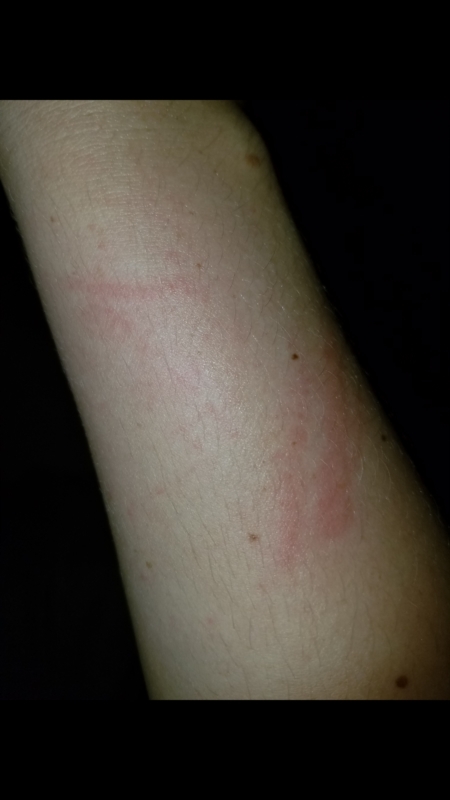 Itches a little. Comes and goes. Is worse after a bath or shower. 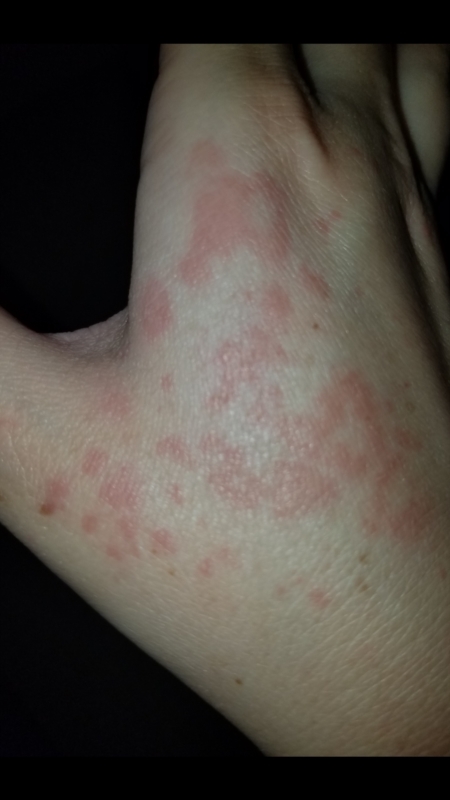 I have an appt with Derm Friday but am curious if it looks like scabies??? 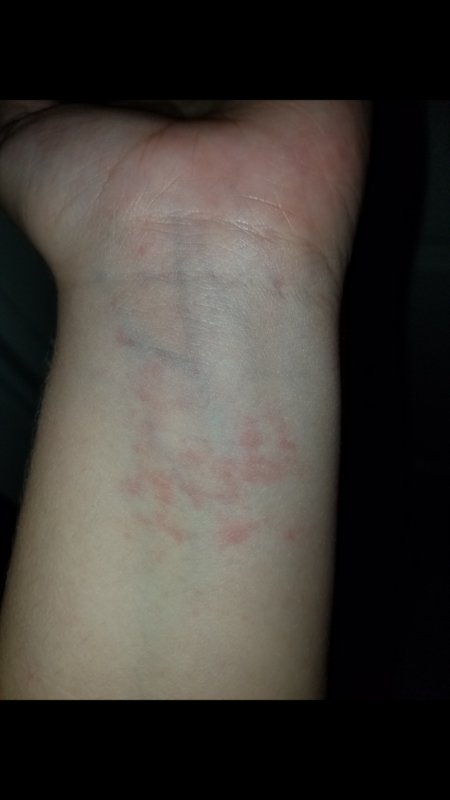 Was that scabies? My initial reaction was "no," but the following three pictures were more, "oh, maybe...."